Polaris won the 40+ with Cory Davidson, who was the only pro entered. 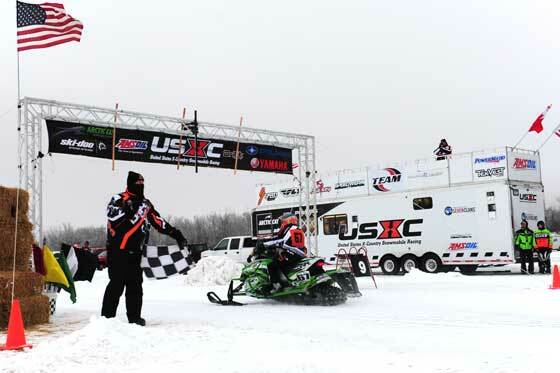 Jim Sobeck wom the 50+ on a Ski-Doo, Glen Arlaud won the trail on a 10 year old polaris, and Lindbom won the semi pro "improved" on a silly fast mod Yami. Other than that, it was all Cat. Almost embarassing. Very fun weekend. Great place to watch a race. The USXC crew did a great job. Lot's of fun! Congratulations to Ryan, looking forward to read more. How about Zach Herfindahl? First pro run and throws down a 2nd and a 3rd. Could he be the next contender to take the pro rankings??? Its almost like he came out of nowhere after dominating semi-pro last year. Lets keep hoping for more snow!!! Did anyone have a radar gun out there? What kind of speeds were they seeing? Awesome weekend!!!! Pretty soon there won't be any reason to have a circuit, Arctic Cat will just have to have their drivers race each other for fun. Too bad the yamaha can't race stock, at least make it interesting..... on ice anyway. Up in Alaska, Ski-doo has a much bigger presence in XC racing, I'd say they are currently the most popular make. Second would be Polaris and then Cat. Yamaha has no presence at all. Good to see Yamaha out there racing. I'm really curious to see how competitive they'd be on a real XC course that has bumps and rough terrain while racing the actual pros in the event. Last year they had a lot of success but it wasn't in running the USCC events. Going over to WI and entering regional races against low budget, grass roots, amateur racers is kind of embarrassing. I hope they don't do the same thing this year! Not trying to bash them, I really want to see what the Nytro is capable of. 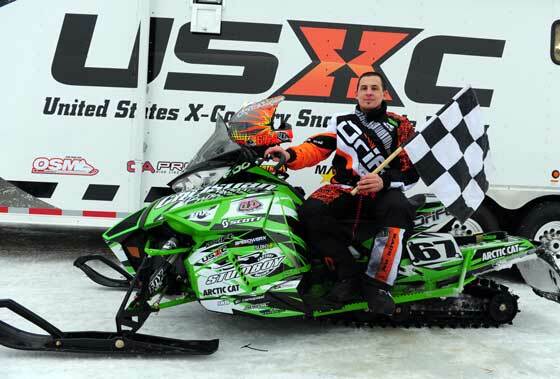 A 4-stroke race sled would be easy to live with as far as care and maintenance.